Why Do We Do Snatakam in Marriage? Snathakam is a thread ceremony for the Groom before the wedding. The ritual is conducted a few hours prior to the wedding. Snathakam is a Telugu wedding ritual. This ritual is conducted in all South-Indian weddings with a little variation with respect to their tradition. 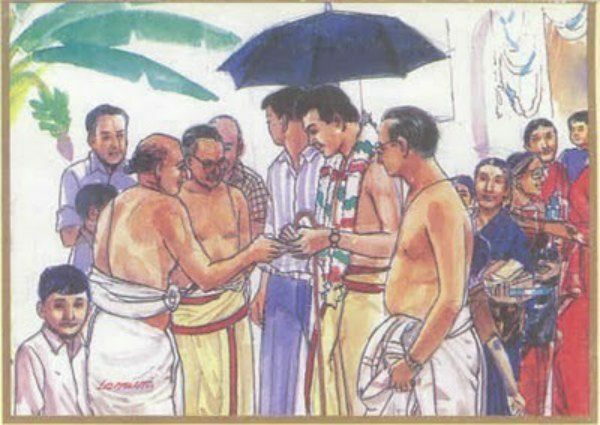 This ritual is often referred to as the graduation ceremony, sometimes convocation, which is performed at the groom’s house before the wedding or muhuratam. It is the thread ceremony where the groom wears a silver thread or Yajñopavītam on his body. This pre-wedding ritual symbolizes handing over the household responsibilities to the Groom. The boy is prepared to take charge of his new family and execute his responsibilities as a husband, son and father with utmost dedication. Some communities prefer conducting this ritual at the temples. Mukta Event Managers in Hyderabad can help you conduct the marriage in your home in the most memorable manner. Often called as the best event management company in Hyderabad, Mukta will help you in enjoying the event than running around for petty things.